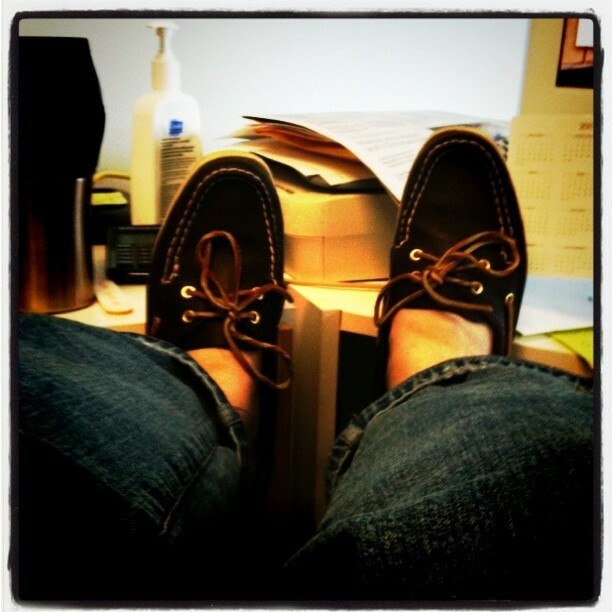 Posted on September 14, 2011	by S.
but it would be better if my feet were propped on a cooler kit in a boat, rather than on my desk. Susan! Your desk is MESSY! Jenny, I am a busy, productive woman, busy producing. That’s what I was busy producing.